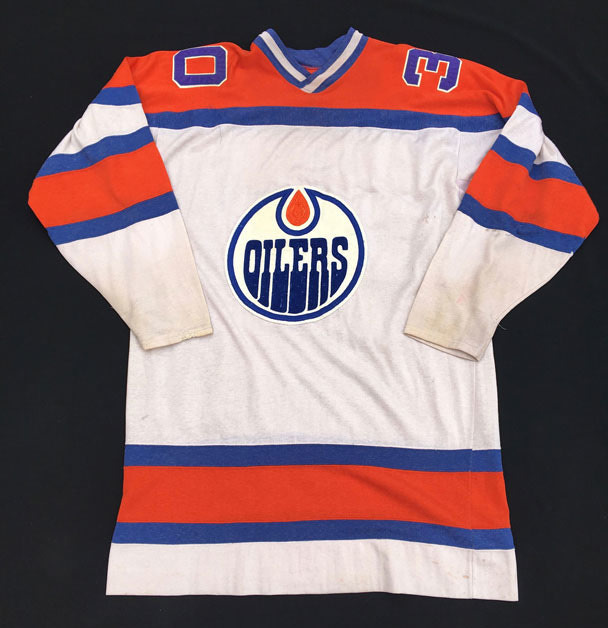 This jersey was worn by goaltender Jack Norris of the WHA Edmonton Oilers for the full 1973-74 regular season and playoffs and was also worn by Hall of Fame goaltender, Jacques Plante for the 1974-75 preseason and publicity photos. 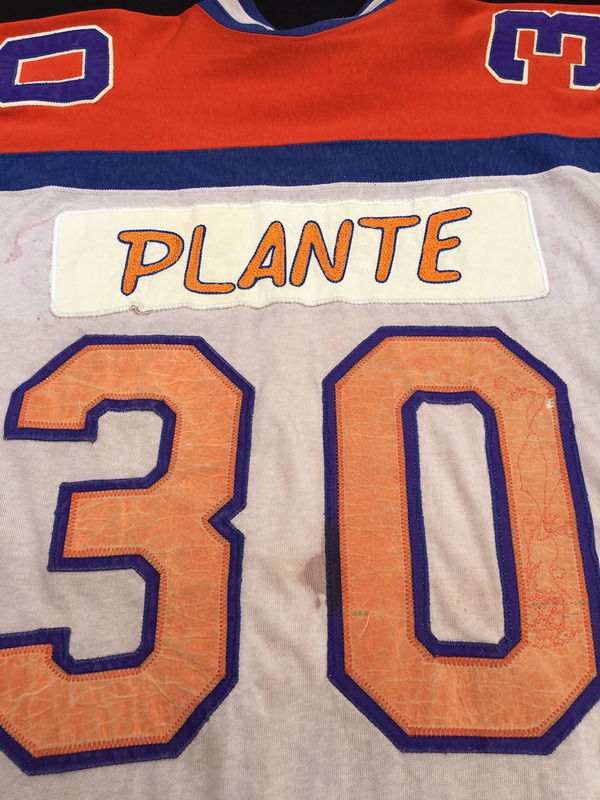 It is not clear whether Plante played any games in the preseason for the Oilers as he did sustain an injury in the training camp. 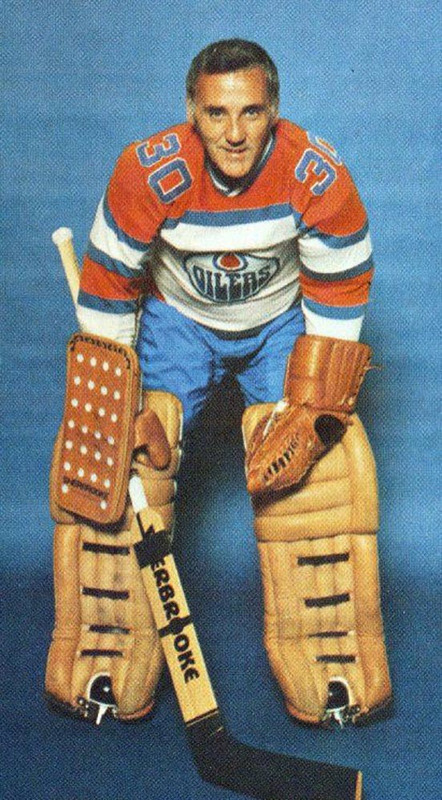 The goaltenders who wore this jersey both had distinguished careers in the NHL. Jack Norris debuted with the NHL Boston Bruins in 1964-65 and also played for the Chicago Black Hawks and Los Angeles Kings. Jacques Plante is one of the most famous goalies to ever play. His career in legendary to say the least. He is on everyone’s list of top 5 goalies of all time. 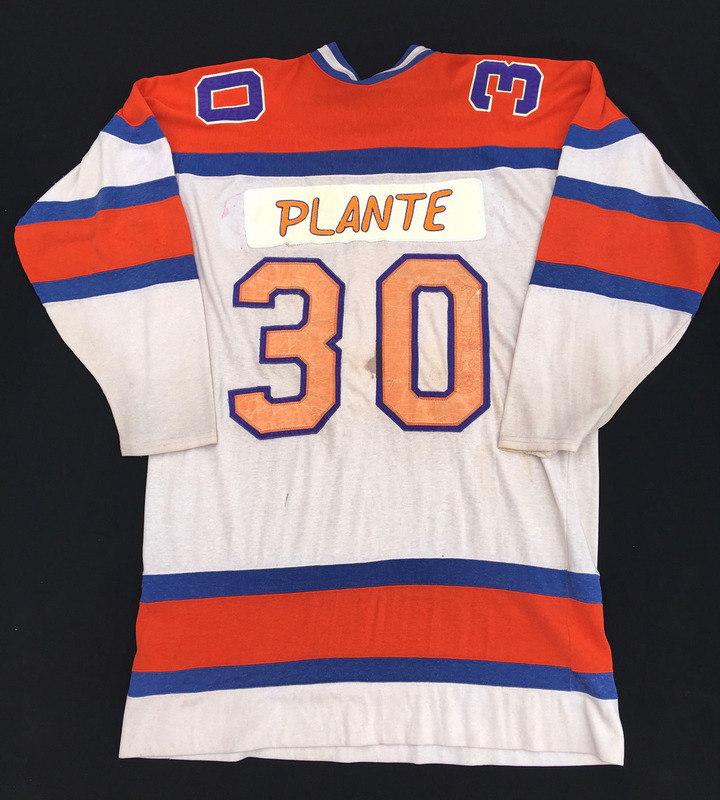 The Canadian National Hockey Museum is proud to include this historic jersey in it’s Edmonton Oilers Exhibit. Enjoy! !